It's the perfect weather for popsicles, but all that sugar ends up in all the wrong places. So, this summer I'm trading in the sugar packed popsicles and replacing them with sweet and nearly sugar and calorie free popsicles made from Crystal Light and fresh fruit! This recipe is quick and easy with only three ingredient. These popsicles end up being more like ice pops, but they are still delicious and refreshing on a hot summers day. They also make a good replacement for those high fat popsicles that kids crave. Combine 1 packet of Crystal Light Peach Mango Green Tea with 6.5 cups of water. These packets come in a tube of 5 each making 2 quarts of green tea. The directions call for 8 cups of water, but I like to use less so that the flavor is a bit stronger. 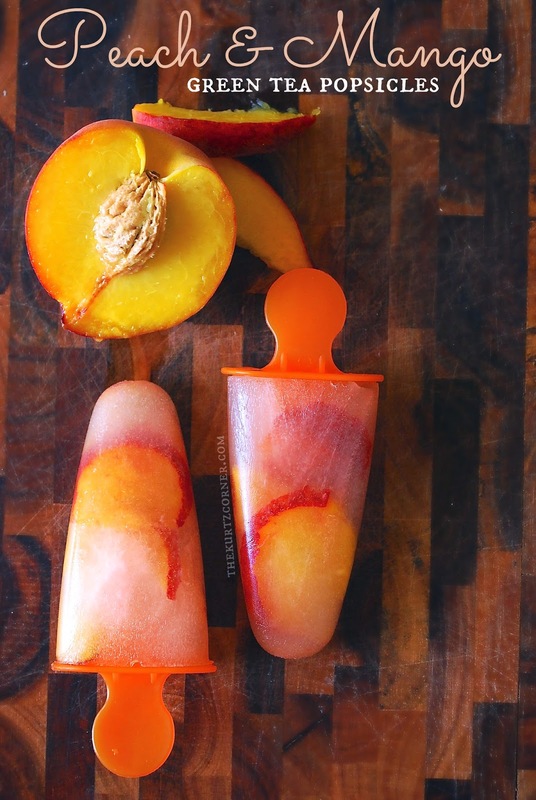 After the water and powder is combined pour the liquid into your popsicle molds and add slices of your peaches. Be sure not to overfill them and leave room for the fruit. Place in the freezer and allow to fully freeze about 4 to 8 hours depending on the size of your popsicle molds. Enjoy! We all love quick and easy projects, am I right? Well, here is a great one that you can make for the Fall or Summer! 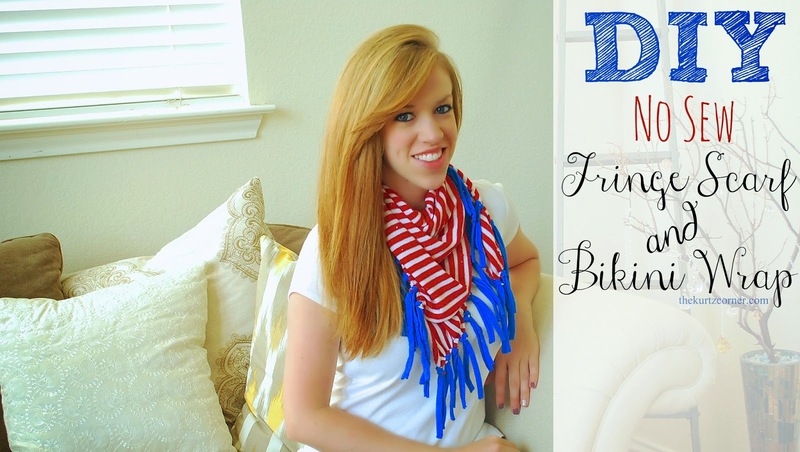 If you don't like to wear scarves, no problem, use it as a bikini wrap! Don't wear bikini wraps? That's okay, use it as a scarf instead! Don't like scarves or bikini wraps?...well, ummm, wear it as a cape? You can use any light weight fabric for this DIY project. Just make sure that it is a fabric that does not fray, otherwise you will need to add a hem around the edges (which kind of defeats the purpose of a no sew project). Show me your creations and I'll feature them on my Facebook page and Twitter page! 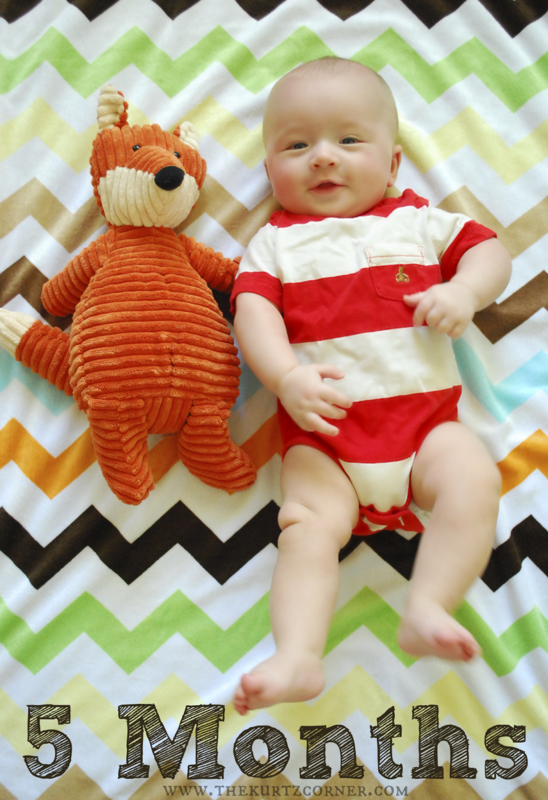 Gah, I am a month behind in posting this, he's already 6 months as I post this, but we can't skip the 5 month update! I really under estimated how little free time I would have being a stay at home mom, but I wouldn't trade it! You experienced mommies are probably giggling at that comment, haha! For any of you who think stay at home moms just sit around at home and it's all sunshine and rainbows, with oodles and oodles of free time to do what you like (not that I thought that) you are sorely mistaken! This little fella keeps my on my feet all day long. By the end of the day my back is normally killing me and at least one or two extrmities have been covered in spitup or dribble at some point in the day. There's also daily cleaning, laundry, taking care of all of the bills, grocery shopping, cooking all of Peyton's food from scratch, cooking dinner, blogging and making YouTube videos (both are my way of earning extra income). Im sure there's so much more that I'm leaving out...anywho, this is about Peyton, not me, but seriously, I need to stay on top of these posts so I don't forget every precious moment! + Tried homemade puree for the first time! + Spent the night at NeNe and Gpop's house (my parents) for almost a whole week! Here in the Kurtz house, we take our bacon seriously. Bacon for breakfast, bacon for lunch, bacon for dinner... bacon, bacon, bacon with a side of more bacon! But seriously, I think my husband has a slight addiction, and because he loves it so much, I decided to add a twist to my toffee recipe and incorporate some of his favorite things for a Father's Day / 4 year wedding anniversary treat! 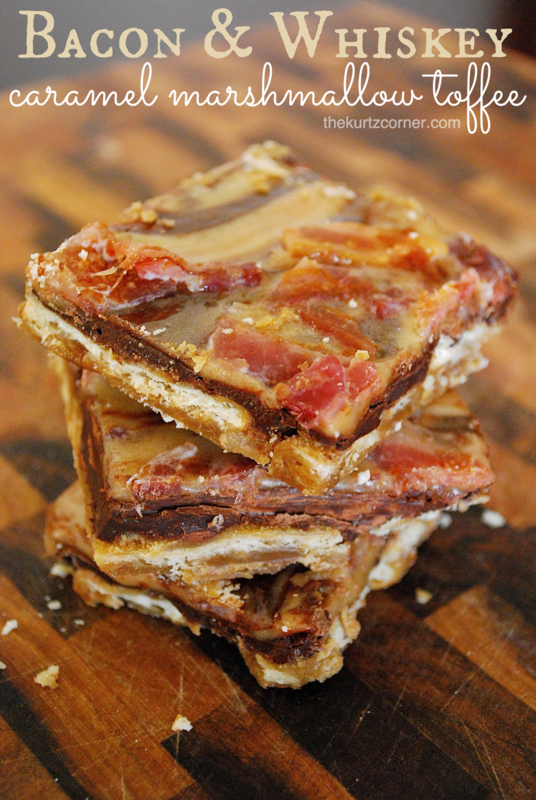 Nothing says "I love you" quite like chocolate, bacon, and whiskey, am I right?! Turn your oven to 400 degrees F and place your bacon in the oven, on a foil lined baking sheet, while it is still heating up. Cook your bacon for about 18 to 25 minutes or until crispy and set aside. Leave your oven on and turn down to 325 degrees F.
While your bacon is cooking, take your largest rimmed baking tray & line it with foil. Line your crackers in rows making sure that they don't overlap. The crackers should pretty much fill up the entire baking sheet. Next, make your caramel. Melt the butter over medium-high heat in a saucepan stirring in the brown sugar gradually. Once it starts bubbling, turn the heat to medium-low and simmer for about 3 minutes, stirring continuously or it will burn. Once your caramel has simmered for a few minutes, pour it straight on to the crackers. You want it to be pretty runny so don't worry that it isn't thick. Try to evenly pour the caramel over the crackers, don’t worry about covering everything, it will spread in the oven. Place your baking sheet in the oven at 325 degrees for about 8 minutes. You want the caramel to spread out nicely over the crackers. It should be bubbling before you take it out of the oven. While your toffee is in the oven, place your marshmallows and whiskey in a medium pot and heat over medium-high heat, stirring continuously, until melted. Once melted, turn the heat down to low and set aside. After removing your tray from the oven, pour your chocolate chips over the crackers right away. The residual heat from the oven will melt the chocolate chips. Let it sit for 5 minutes to melt. Once melted, use a rubber spatula to spread the chocolate chips evenly over the crackers. Quickly pour the marshmallow mixture over the chocolate and spread with a rubber spatula creating a marbled effect as you go. Next, chop you bacon and sprinkle over the top of your toffee. Last, place your tray in the freezer for 2 to 4 hours to fully freeze. Once you remove your toffee, flip it over and peel off the foil. It should come off in one whole piece. You might have a few left over pieces here or there, but not to worry, it's easy to peel off. After the foil is removed, use a large, sharp knife and cut our toffee in to pieces. Any leftover pieces should be stored in the freezer. Enjoy! The master bedroom, it's supposed to be an oasis for you and your spouse, right? Well, mine never fully felt like a getaway, a room that I was supposed to love spending time in relaxing. Don't get me wrong, I enjoyed my master bedroom before, but now I love my master bedroom! All it took was a new quilt, lampshades, and one awesome handmade headboard. I really enjoy making headboards. I wish I could do it for a living, seriously! The hubby and I made our first one together two years ago when we moved into our first house. It turned out awesome for our first headboard! We still have it too. It's now residing in our guest bedroom and it looks great in there! Maybe it's the fact that our master bedroom is gray, the headboard was gray and the comforter was gray... it was just too much gray! The room felt too flat and too dark, even with our bright white curtains and pops of white and purple around the room. It just didn't turn out the way I wanted when I started two years ago. 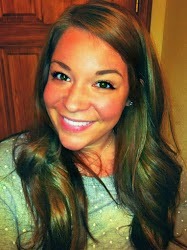 So, I decided it was time for a makeover! I really love cottage/farm house/rustic home decor. Not redneck...upscale farm house. I grew up in the country and I've always loved its charm. To capture that charm, I decided to mimic the barn doors that you would see on an actual barn or the sliding barn doors that you see nowadays in homes. The design is super simple, clean, and easy to make! I wish I had some sort of CAD software so I could give you a more detailed blueprint, but I don't, so I just threw together the simple blueprint you see below using photoshop. For this project, there was very minimal cutting. Only 7 cuts to be exact. If you are satisfied with a 6 foot headboard, then you can start from here. If you want your headboard shorter, you will need to either buy shorter boards or cut them down to the desired height. Next, lay 8 x 6 ft boards on the ground, front side facing up (aka favorite side facing up!). Next, take one of your 8 foot boards and lay it horizontally across the 8 boards you've laid down and mark the 8ft board to this width, then cut. These will become the cross boards for your barn door. Repeat this step two more times and you should now have six 4 foot boards that will go at the top, middle, and bottom of your barn doors. Using your wood glue, apply a generous amount to the back side of your 4 foot boards and place at the top and bottom of your barn door. 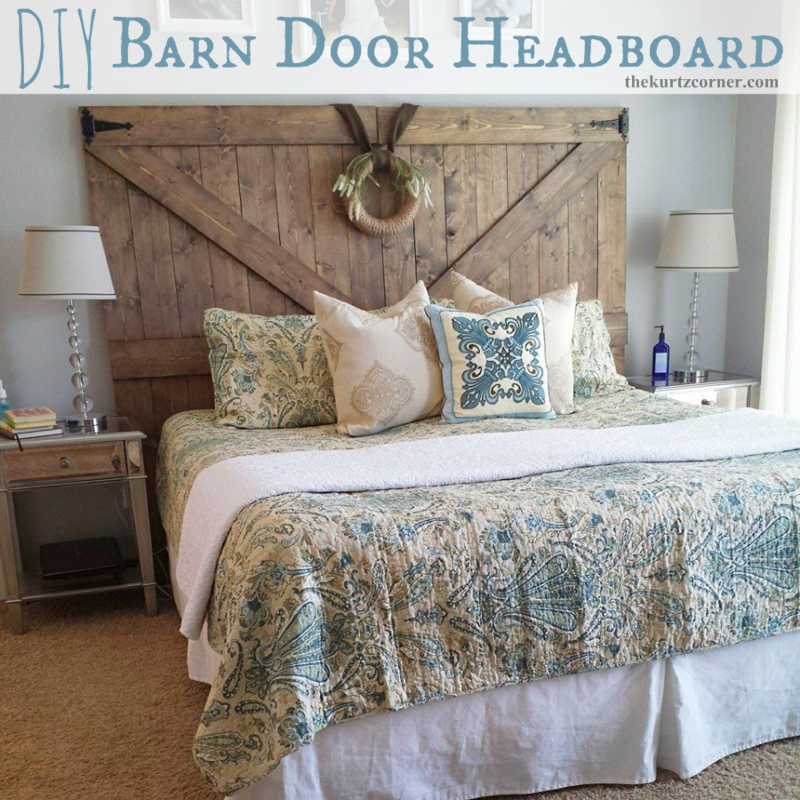 Next, find the center of your barn door and place your middle board there. There should be about 27" between the bottom of the top cross board and top of the middle cross board (see blue print above). After your cross boards are in place, lay one of your 6 ft boards diagonally across your door and mark where you will cut. 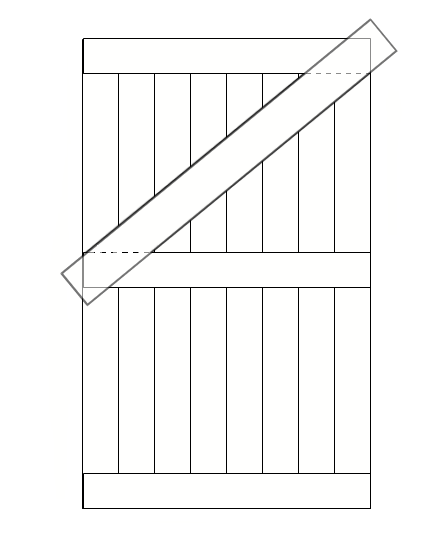 Using a pencil, mark the left & right side of where boards intersect, connect the lines with a straight edge, and then cut using your miter saw (see image below). Once you have cut your diagonal board, apply your wood glue and place on your door. 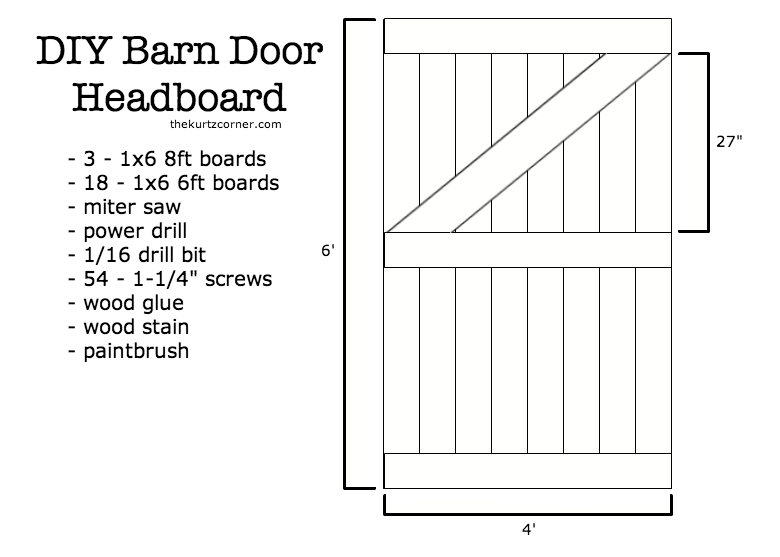 Repeat this step cutting the diagonal board in the opposite direction for your second barn door. This will leave you with one door having a "Z" shape and the other with a backwards "Z" shape. Once your boards are in place, allow them to dry for 2 to 4 hours or until fully dry. It also helps to place a heavy object on top of the boards to help the to adhere since not all boards are 100% straight. After your glue has dried, flip your door over so that the back side is exposed. Using your drill and 1/16 drill bit, drill eight holes (24 in total), evenly spaced across each cross board. Make sure that the drill bit does not go too far or you will drill straight through both boards. You only want to drill far enough so that your screw secures the boards together. Next, drill three holes evenly across your diagonal board. Once all of your holes are drilled, screw in your screws. Repeat with your second door. Your doors are now assembled and you can begin sanding. For my doors I just did a quick light sanding before staining. To achieve the same stain as my headboard, you will need the two stains above. Minwax Special Walnut 224 and Varathane Sunbleached. I purchased both of these at The Home Depot. You can use whatever color stain you'd like, this was just the combo I used. To recreate the stain seen in my image, apply the Special Walnut first, brushing and wiping away as you go. Next, apply the Sunbleached stain, but do not cover the entire surface. Brush a few strokes and quickly wipe. I found it easiest to wipe, almost buff, in a circular motion. This will help you cover all of the board evenly. Finally, apply one final layer of the Special Walnut, allowing this layer to set for a few minutes before wiping. Once you're finished, add any hardware, such as decorative hinges like I did, and allow to air out for several hours to a full 24 hours before bringing into your home. That's it, your'e done! Because this door headboard is so heavy you will just want to prop it up against the wall and push your bed up against it. To prevent scratches and indentions in your wall place a small folded square of felt behind the edges that touch the wall. 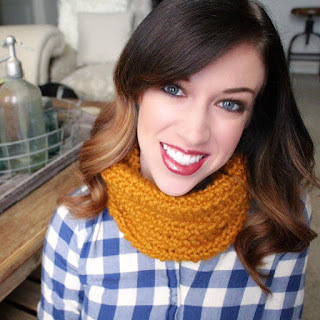 If you use this tutorial I'd love to see your finished project! 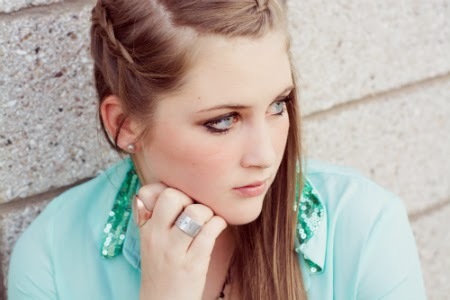 Feel free to tag me on istagram @audrakurtz, tweet me on twitter @thekurtzcorner, or upload a picture on my Facebook fanpage! 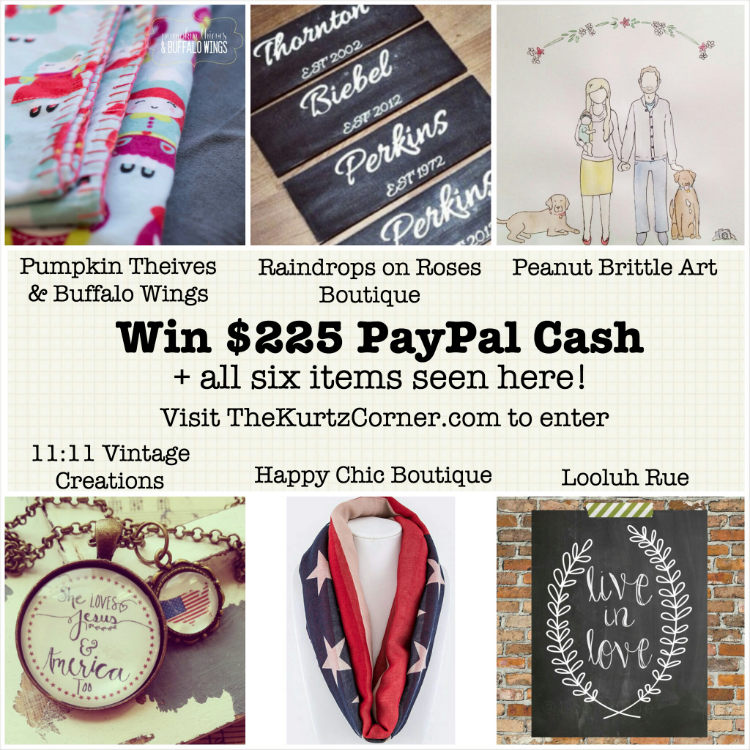 4th of July Star Spangled $225 Cash Giveaway! It's officially Summer! Summertime means BBQ's, laying by the pool, ice cold drinks, going to the lake or beach and fun in the sun! To share our love for summer, we 12 lovely ladies have joined forces to bring you one awesome giveaway!! 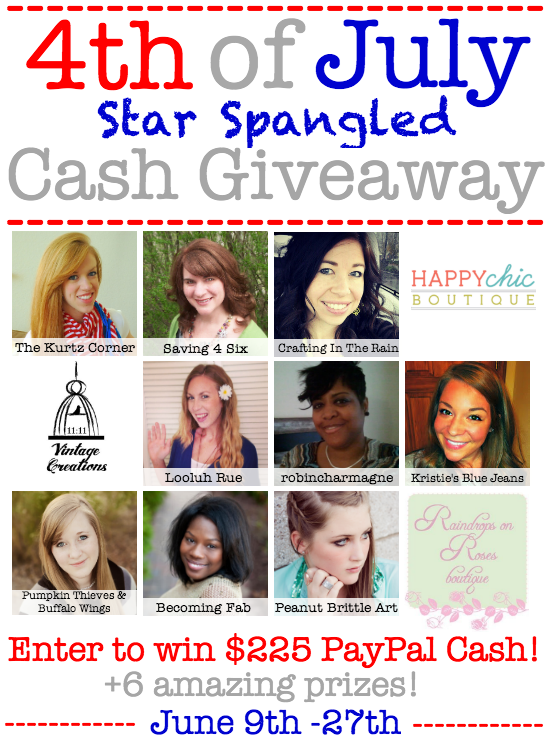 Not only are we giving away $225 just in time for your 4th of July celebration, but we're also giving away 6 additional prizes handmade by these awesome gals! One winner, 7 fabulous prizes, are you ready!? Before you enter, be sure to read a little bit about each of the giveaway sponsors and visit their pages to leave some love and thank them for hosting! 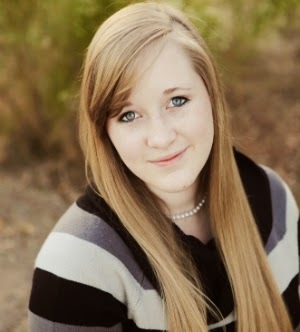 Hi, I'm Audra! Southern gal and mastermind behind The Kurtz Corner. I'm a wife and new SAHM to one hopelessly adorable baby boy. I'm a lover of DIY projects, crafts, cooking, baking...if it involves creativity, I most likely adore it! I also run a YouTube channel where I share quick and easy DIY projects and recipes. I hope to see you around sometime! I'm Carrie... the wife, mother, and saver behind Saving4Six. I love to save money on meals, vacations, crafts, and mostly DIY home improvements around my 100 year old home. 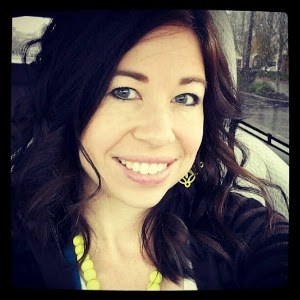 Stephanie lives in the Northwest with her husband and kids and writes all about her creative life. Visit her blog for holiday decor, fun kid crafts and games and occasional sweet treats. I'm a Mom of 3 silly boys and a sassy Step daughter. I'm married to a wonderful man who is in the Navy. 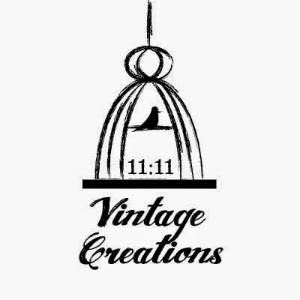 My business was inspired by my grandfather who passed away on November 11, 1987(11:11). He kept a book of positive quotes which he left for my grandmother. I went through a tough time a few years ago and saw the number 11:11 everywhere I went, I know it was him. That's where the name came from. He inspired me to turn positive quotes into jewelry as a reminder for people to remember life is beautiful and this too shall always pass. I'm hoping the positive quotes and bible verses in my jewelry will help people as they did me. 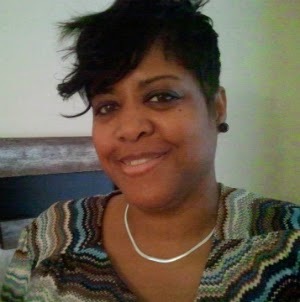 robincharmagne is a life + style blog. Updated daily, robincharmagne regularly features style/outfit ideas, fashion trends, easy entertaining, clever decorating ideas, savvy travel tips and totally doable DIY projects. The intent of Happy Chic Boutique is to offer quality products, at an affordable price, while focusing on all sizes of women. Happy Chic Boutique will give you a unique shopping experience, fun packaging, and a fantastic rewards program. We want to be your shopping bff! 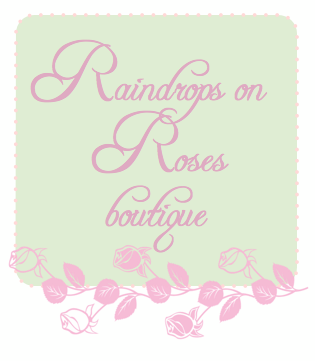 Raindrops on Roses Boutique is the at-home business of mom and wife, Sarah Nicholson. Sarah offers handcrafted wooden signs for your home, baby shower gifts,wedding decorations, holidays, gifts and everything in between. I'm Siri, a girl made up of a little bit of red, Muppets, Kisses, faith, Swedish, poems, raindrops, strawberries in lemonade, and photographs. I live adventures everyday with Pappa Bear, Little Muppet, and the Chocolates. Hi! 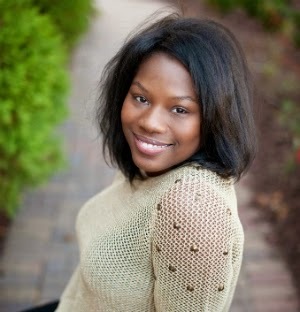 I'm Tranae, a southern girl with an addiction to crafting. 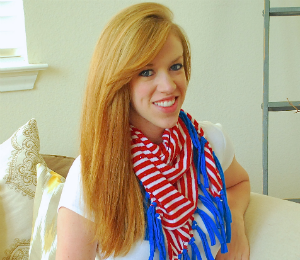 My blog, Becoming Fab, is a DIY lifestyle blog focusing on creating a fun and fabulous life. I am Krista, a late twenty something, small town girl, hoping to travel the big world; blogging about everything from the awkward hilarious moments of my life, to the make up I love, and to the places I travel. They call me Peanut Brittle. I read, I explore, and I create unique water color portraits from your photos! They are the perfect touch to your home or the perfect gift for a loved one!